Although Mozart called it “The King of instruments” he wrote comparatively few works for the organ, but what he wrote is of a special quality: the great Fantasia in F minor (a late work) is of deep emotional content, while the Adagio and Rondo KV 617 is in the tragic key of C minor. Also included is the delightful Suite in C KV399, the beautiful Andante in F major KV616 and some works the child prodigy Wolfgang wrote in London, the KV15. 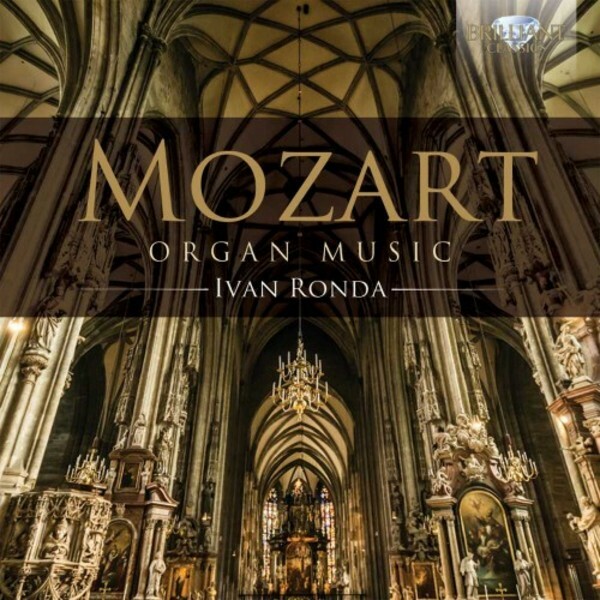 They are played by Italian master organist Ivan Ronda, internationally acclaimed by guest appearances in such venues as Westminster Abbey and King’s College Cambridge. The booklet contains information on the organ, an artist biography and notes on the music.